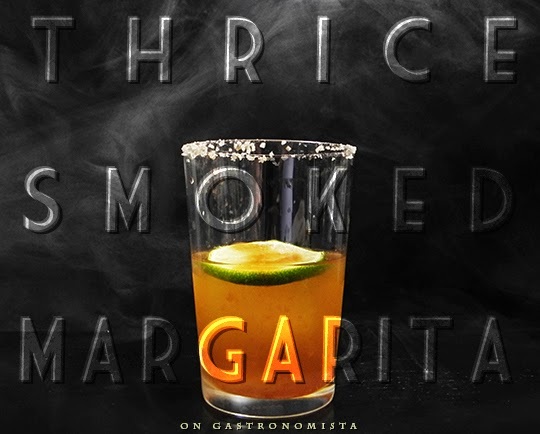 In honor of Cinco de Mayo this year, I wanted to make a really special margarita - one that has a many layers of flavors and that is built around the concept of smoke & spice. On a recent trip to Avery Island, I fell in love with the process of aging and fermenting the pepper mash in the used bourbon barrels. The barrels have a facinating history - after aging bourbon, they are shipped all around the world to age wine, tequila, scotch, and even Tabasco hot sauce. In the gift shop I saw that they were selling Tabasco barrel chips, and I grabbed a bag tickled with excitement! You can still see some of the char on the chips, but more so the sweet and sour fermented smell of the peppers. 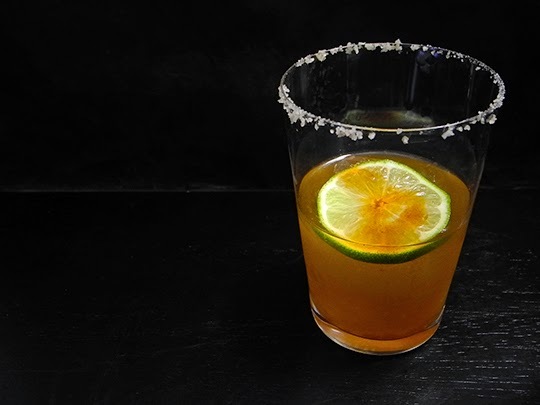 This recipe is based on a traditional Margarita recipe: 1.5 strong, 1.5 sweet, 1 sour, 1/4 sweetener. The first smoke element involves the barrel chips and some blanco tequila. I put the chips in a glass bottle with some blanco tequila (I used Olmeca Altos Plata), and let it sit for 3 days. 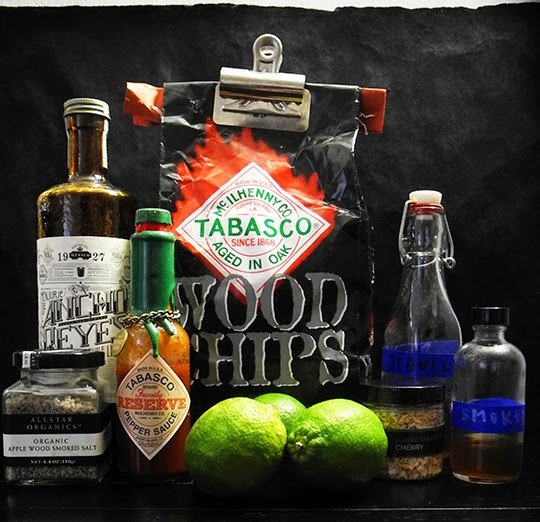 I strained out the wood chips and re-bottled the Tabasco Tequila. 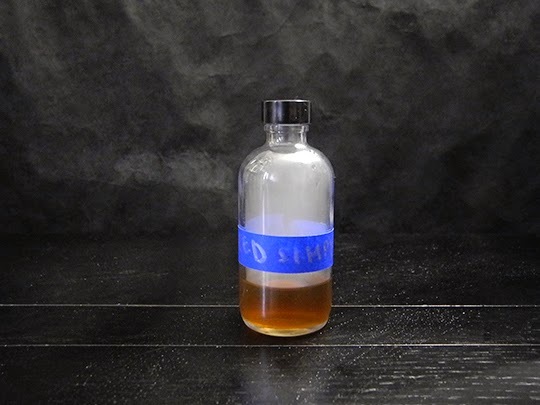 For the second smoke element, I smoked a small jar of simple syrup with cherry wood using my smoking gun. 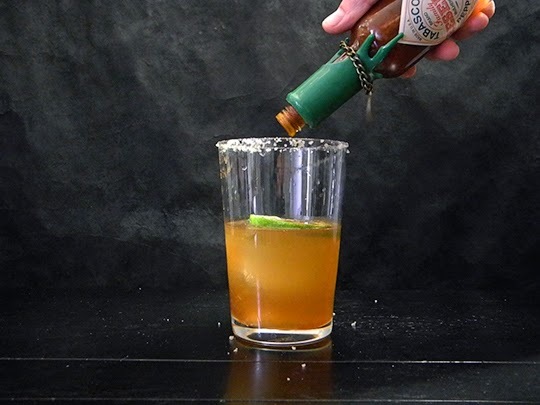 You can use agave as well, but I personally think that the roundness of the demerara sugar pairs well with the aged pepper flavors of the Tabasco. The third smoked element is a Allstar Farms Smoked Apple Wood Salt that I picked up when I was in San Francisco. 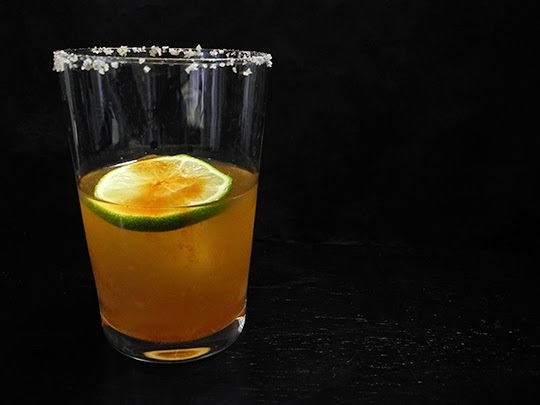 It has such a deep smoky flavor that is absolutely addictive, and on the rim of this cocktail it is a bright, savory flavor that is guaranteed to make any well disciplined imbiber keep coming back for more! I also wanted to highlight pepper and heat in this cocktail - so I used Ancho Reyes to substitute for Triple Sec, a liqueur made from Ancho Chilies. 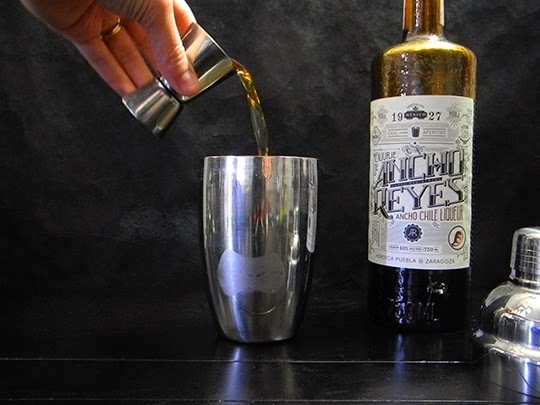 The liqueur is sweet with flavors of chile, tamarind, and cinnamon, and is derived from a historic recipe from the heroic Mexican town Zaragoza. For extra kick - a floater of the Tabasco Family Reserve Sauce! 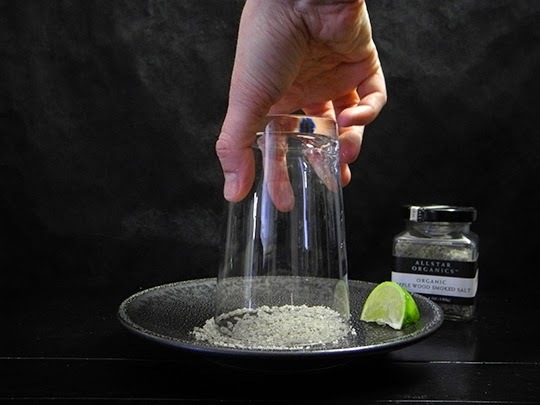 Swipe rim of glass with a fresh lime, and rim with the Apple Wood Smoked Salt. 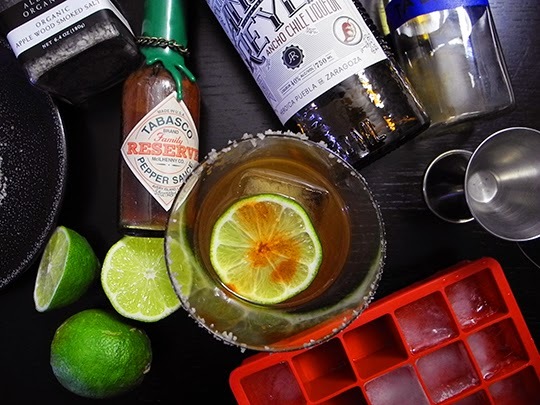 Shake Tequila, Ancho Reyes, Simple Syrup, and Lime Juice with ice. Strain into a glass with a large ice cube. Float lime slice on top, and add a bar spoon of Tabasco Family Reserve sauce to the top of the cocktail. 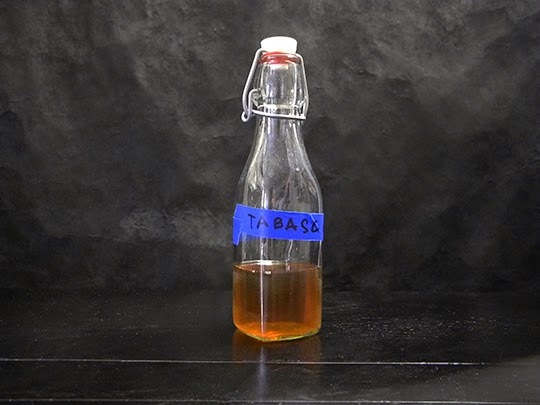 Place tequila and wood chips in a non-reactive container and let sit for 3-4 days. Strain out wood with cheese cloth and store in a glass bottle. Place hose of smoking gun in top of glass bottle. Load smoking gun with cherry wood chips, turn on, and light chips with a lighter. 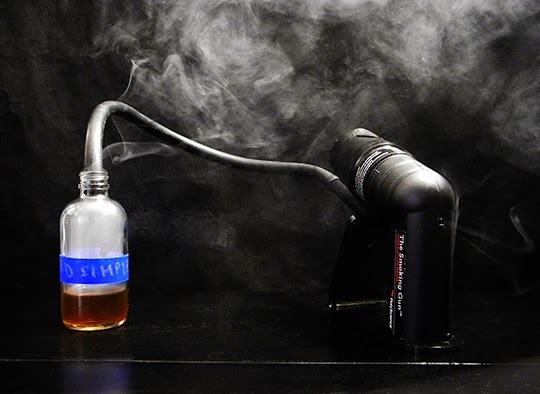 After 5 seconds, turn off the smoking gun, remove hose, and cap bottle. Shake to aerate the simple syrup. Store in the refrigerator.